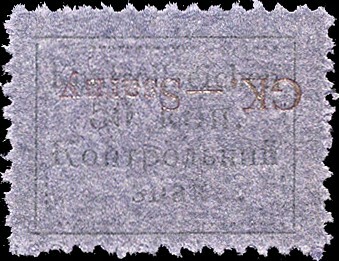 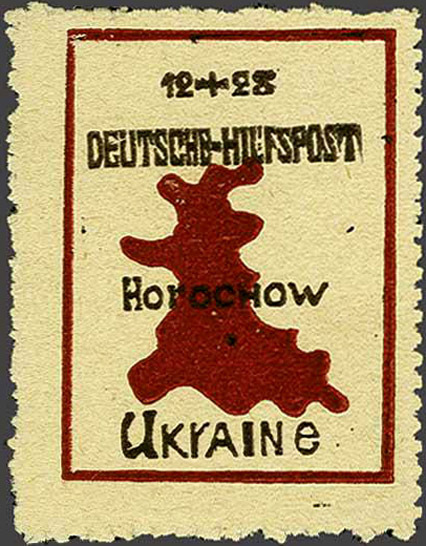 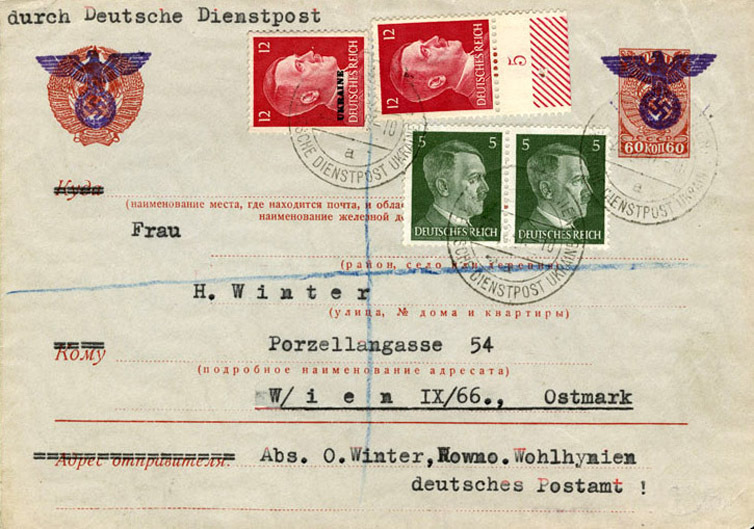 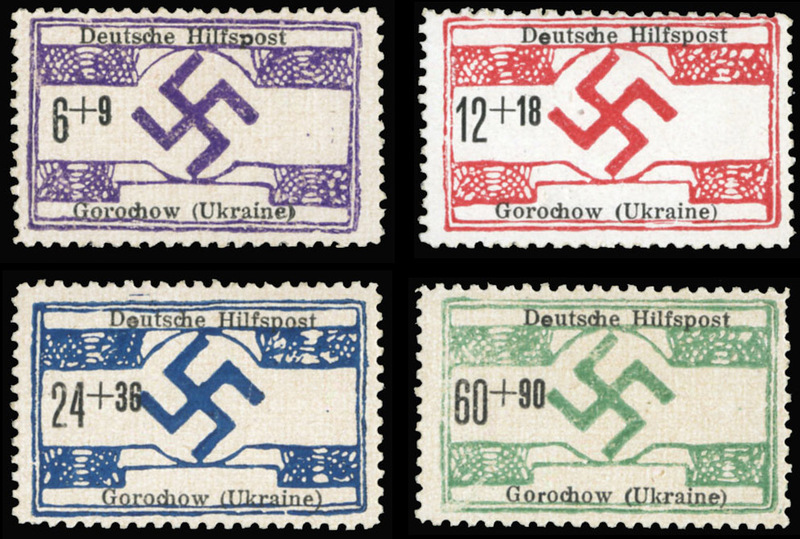 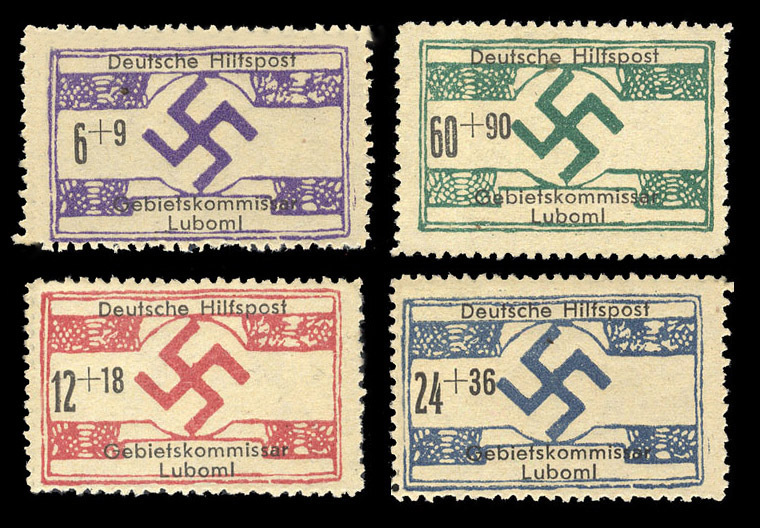 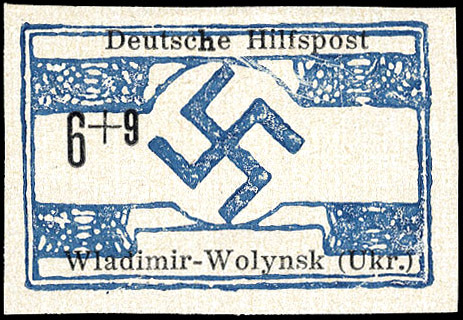 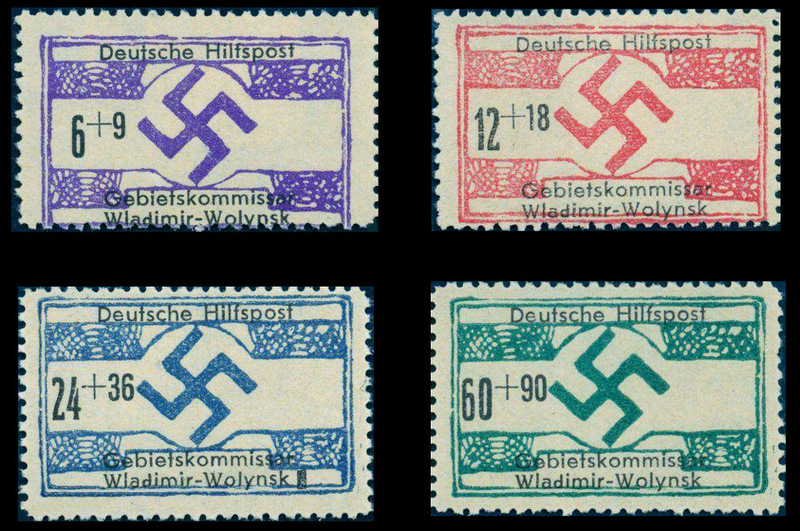 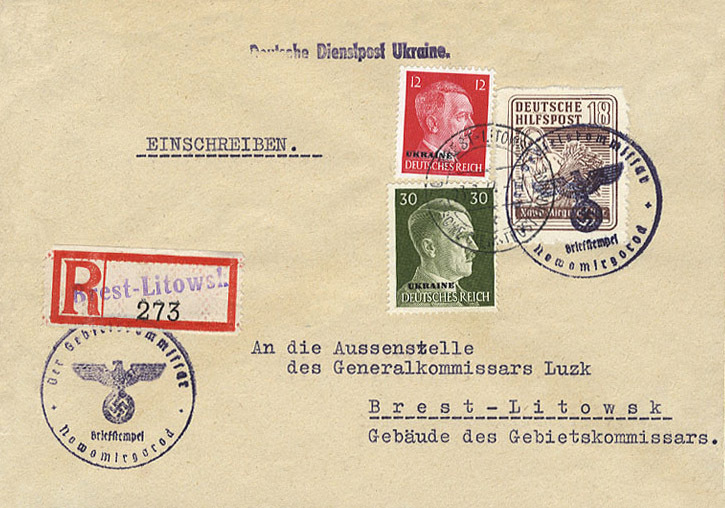 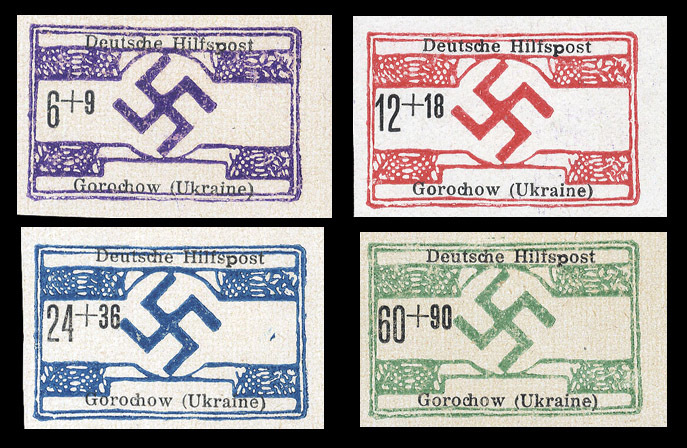 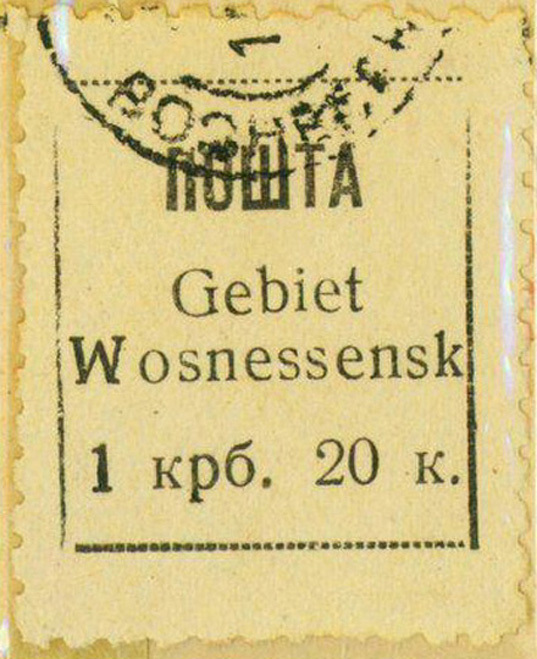 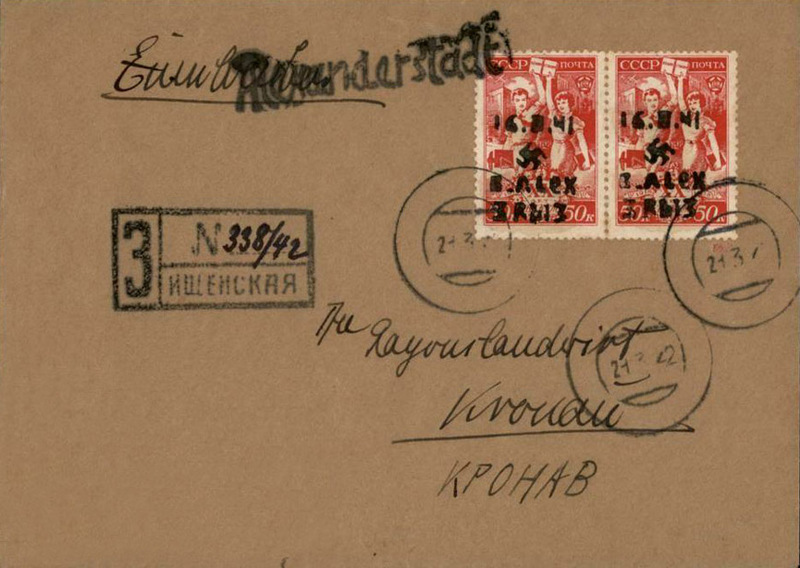 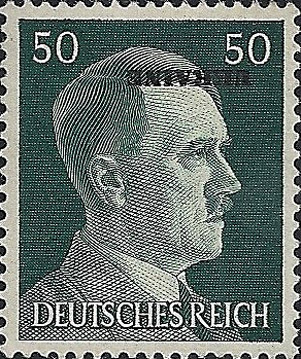 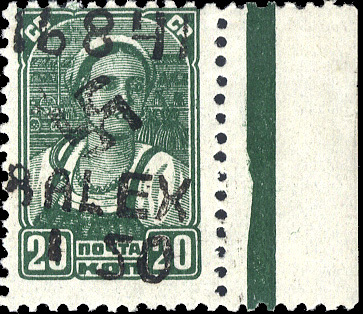 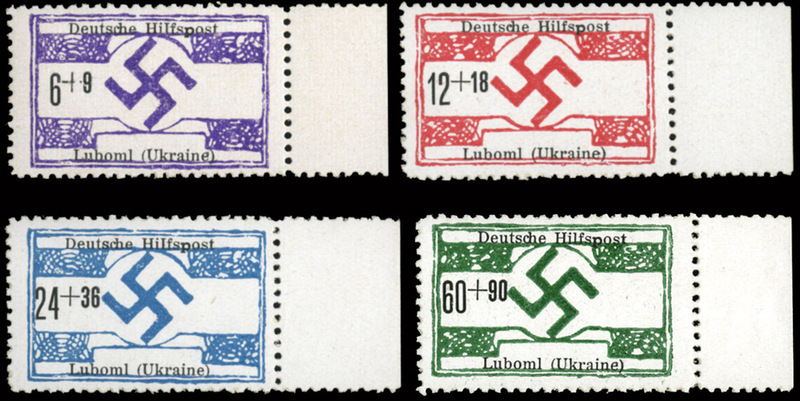 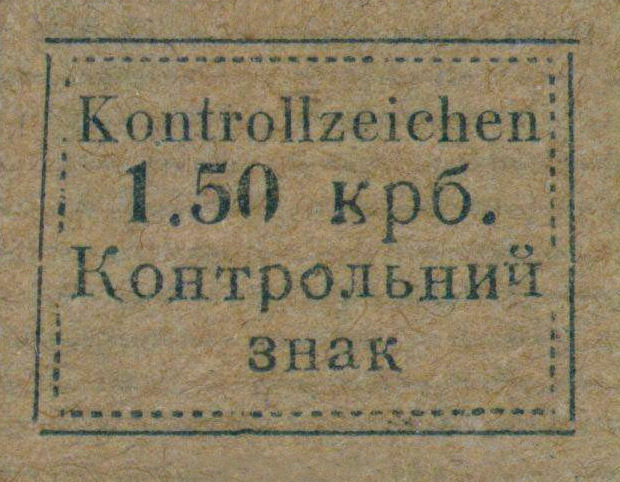 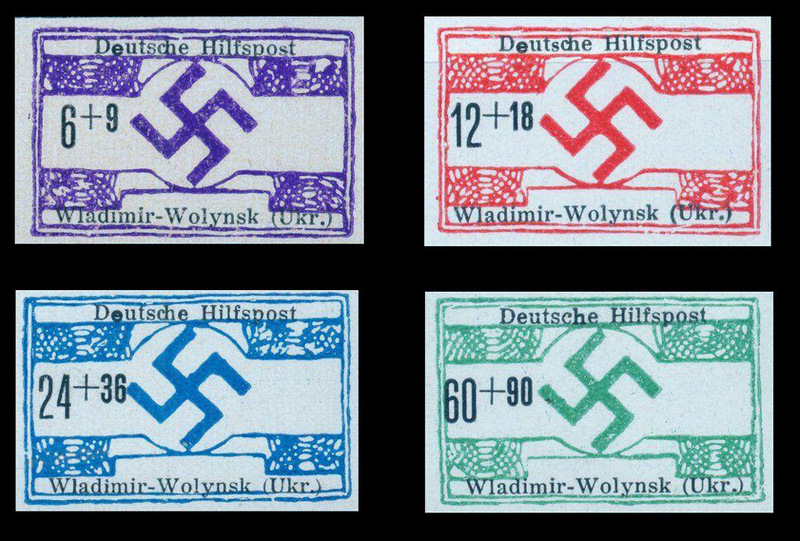 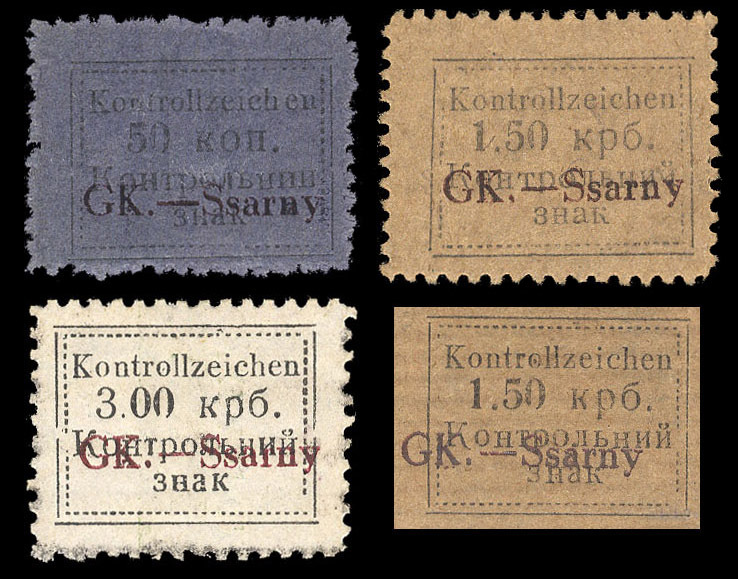 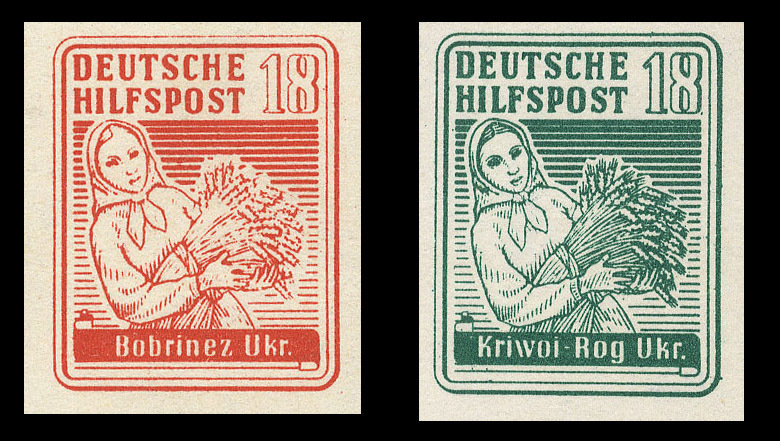 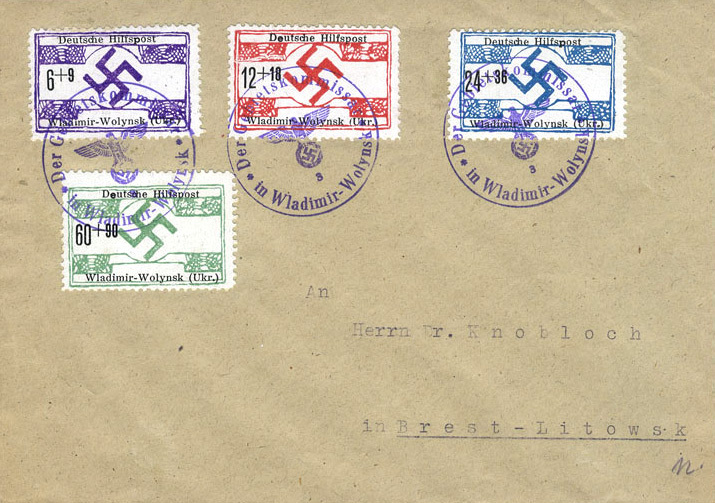 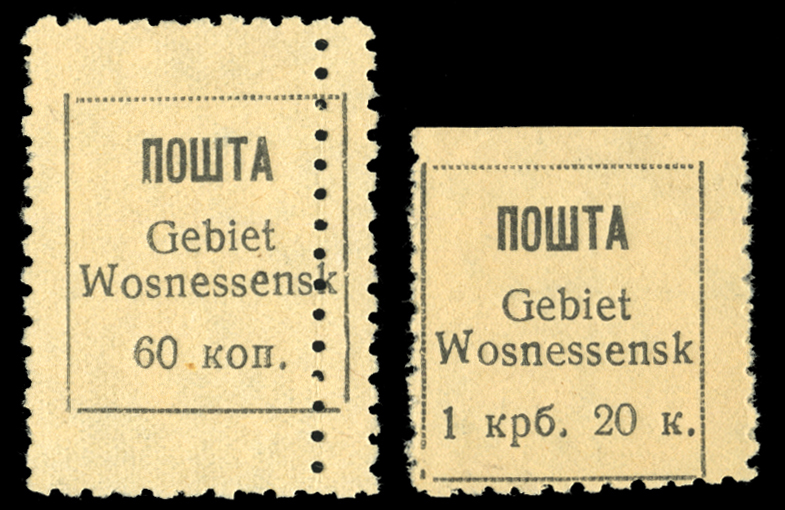 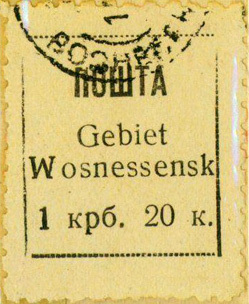 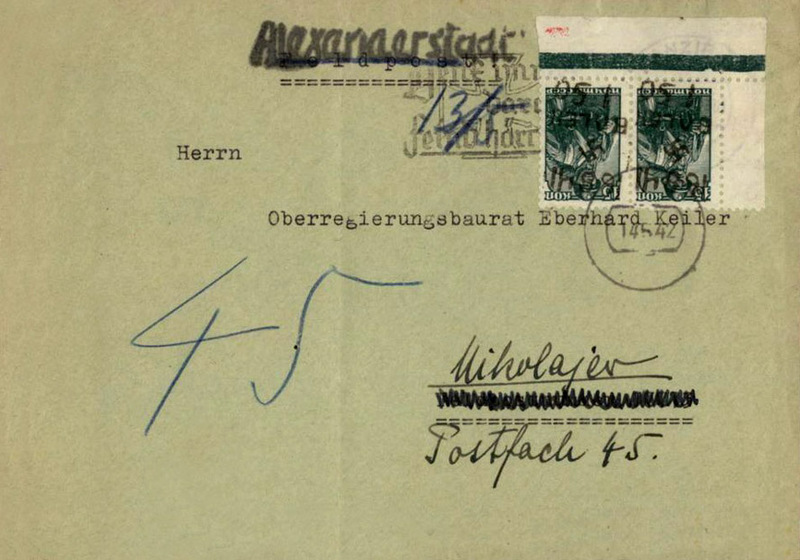 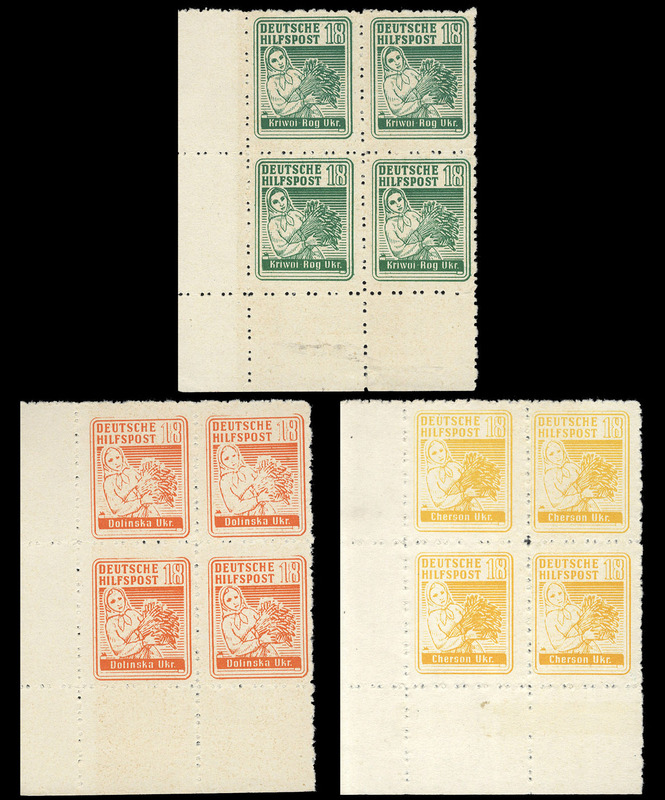 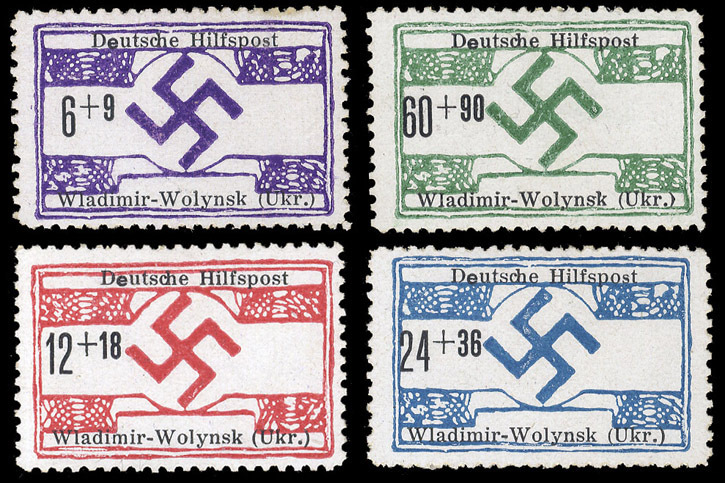 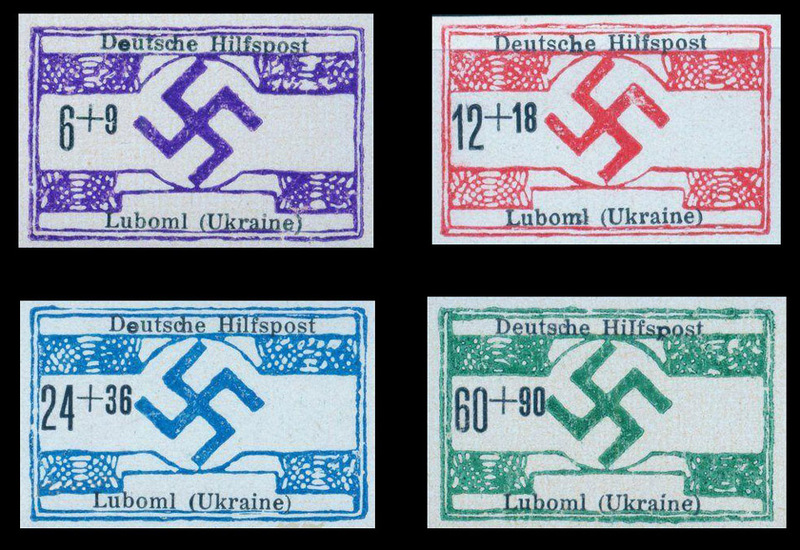 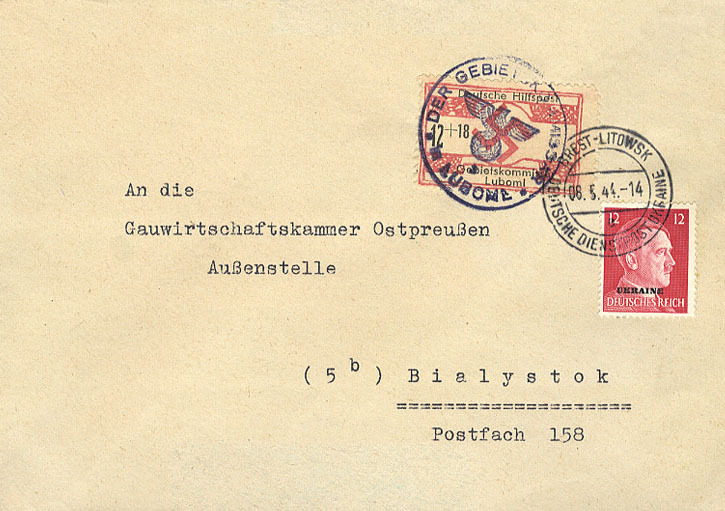 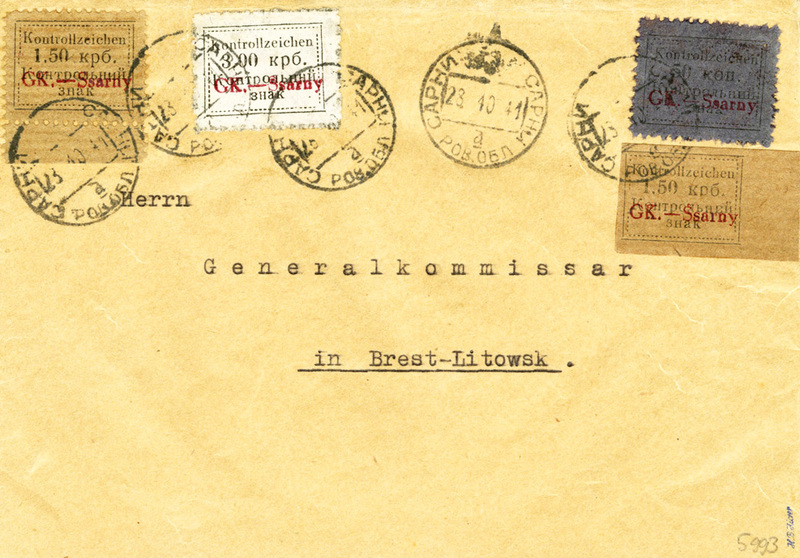 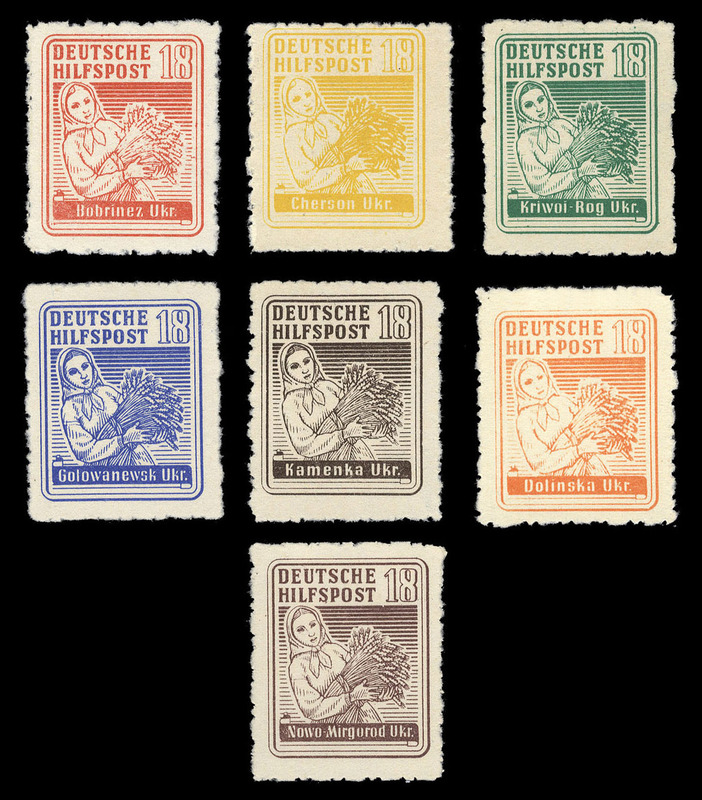 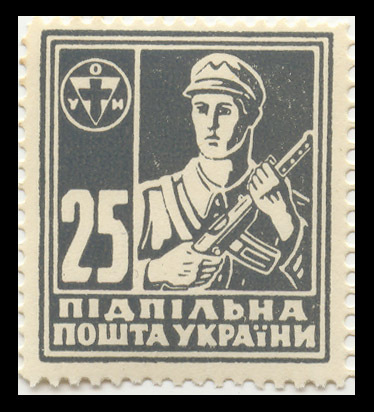 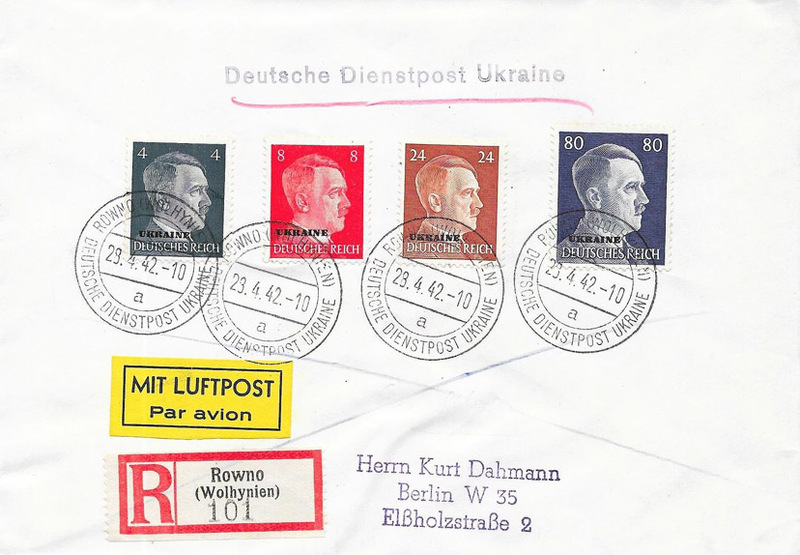 [Above: These very rare stamps are from the German administration of Northern Ukraine. 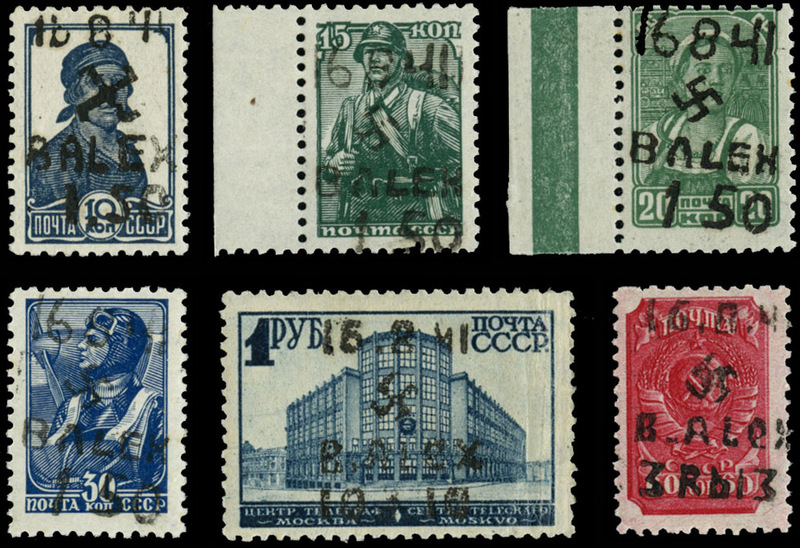 They are from April 1944 and each has regional prints on the bottom. 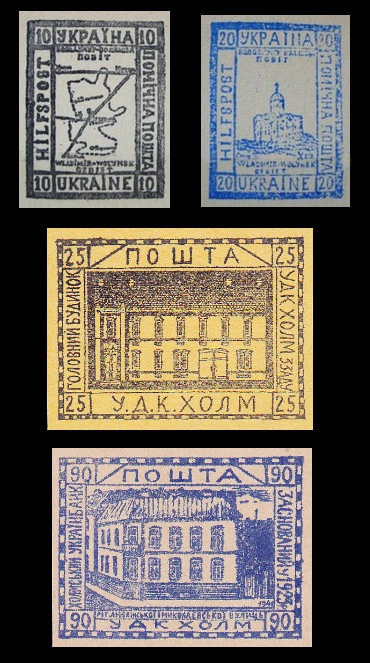 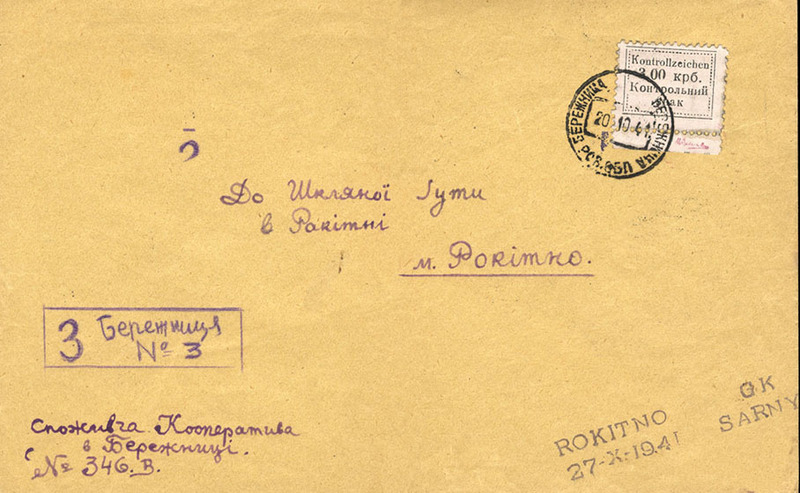 [Above: The top two stamps shown here are from 1944, but they were never issued due to Ukraine being occupied by Russia.